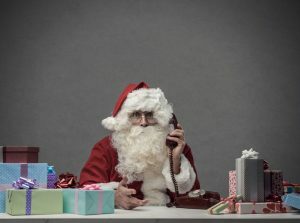 NEW YORK — The holiday season tends coincide with a spike in calls to New York personal injury lawyers. The fact that more people need lawyers this time of year isn’t quite a coincidence — people are busier this time of year, traveling more to see their loved ones and getting all the items on their shopping lists. With more traffic on the roadways, in shopping malls, and other public places, a person’s chances of experiencing a personal injury accident skyrocket. While the holiday season has its joyful moments, it is often a hectic time for people — especially New Yorkers. The city of New York attracts 5 million visitors during the holidays, most who stay in Manhattan to see the city’s enchanting Christmas displays. A surge in population this large often correlates with an uptick in accidents. If you are injured while traveling or shopping in Manhattan, be sure to speak with a Manhattan personal injury lawyer before accepting a settlement offer. Each year, you can expect to see a news segment covering Black Friday sales. Sometimes, journalists report on injuries and even deaths that occur in the midst of the chaos. Black Friday is an especially dangerous time to visit brick-and-mortar stores; for many families however, Black Friday shopping has become a tradition. A number of mild to severe injuries may result from any one of these accidents. Many people sustain injuries in the comfort of their own homes at this time of year. Whether you are a fan of lighting up the inside or outside of your home, installing light displays can pose a threat, as can cooking for large groups. Defective holiday lights may lead to electrocution and present a fire hazard, as can keeping busy in the kitchen. Millions of Americans skip town to meet up with family and friends in other parts of the country. Whether you choose to travel by plane, train, or automobile, the surge in travelers correlates with an increase in accidents while traveling. Call our New York personal injury lawyers to discuss your case. ROCHESTER, N.Y. – If you’re not sure about hiring a personal injury lawyer in Rochester, you should first do some research before making such a big decision. Personal injury lawyers can be expensive – MYTH. Many personal injury attorneys will only take a small percentage of the settlement or verdict they’ve won for you. If they don’t win anything, you won’t have to pay them! Personal injury lawyers can help you get much more than the insurance company’s initial offer – FACT. Even if an insurance company calls you and offers you a million dollars to settle right now, they’re likely holding back. The big insurance companies are notorious for playing games with injured victims, often keeping them from getting fair compensation for their injuries. A lawsuit will raise your insurance rates – MYTH. It’s no secret that court costs are expensive; and the insurance companies are sure to hire pricey attorneys in an attempt to save a few bucks, at your expense. Yes, your rates may go up – but they can go up regardless of whether you filed a lawsuit or not. Insurance companies measure your likelihood of getting into an accident, and just one accident (whether you were at fault or not) could cause a slight increase. Hiring a personal injury lawyer is the best way to secure a fair settlement – FACT. When you hire an experienced personal injury lawyer at Cellino & Barnes, you’re not just hiring an attorney – you’re hiring a team that will fully investigate your accident, and find every possible way to get you compensation. In addition to this investigation, our team will be your advocate throughout the negotiation process and in court. Experience With Handling Claims. Our team is focused on handling accident cases. If you’ve been in an accident and you’ve been injured, there’s a good chance our Rochester personal injury lawyers can help, because we’ve handled thousands of cases similar to yours. Settlements & Verdicts Are Higher. On average, those who hire personal injury lawyers get 3.5x more from a settlement or verdict than those who don’t hire an attorney, according to the Insurance Research Council. In our experience, our Rochester personal injury lawyers have helped our clients get settlements that were 10, 20 and even 30-times more than the insurance company’s initial offer. We Have Many Resources. In order to build a solid case, you need to put together as much evidence as possible. Cellino & Barnes has the resources to investigate your claim, and hire the best experts to help support your claim. Saves You Time. There’s no need to haggle with insurance adjusters if you hire an attorney. We’ll put our negotiating skills to work, and file all the time-consuming paperwork that is necessary to get the best results possible. No Fees If We Don’t Win Your Case. There’s absolutely ZERO risk to you. If we don’t win, you won’t owe us anything. If we do, we only take a small percentage of what we won for you. That’s our No Fee Promise: You have nothing to lose — but everything to gain by calling Cellino & Barnes. If you meet both of these requirements, you may have a case we can help you with. Even if you’re still not sold on hiring a personal injury attorney, we can at least help answer any questions you may have about the claims process. Since every case is unique to you and your situation, our best personal injury lawyers in Rochester are available 24/7 to help answer your questions for FREE. Our team has handled many different cases, and that experience has allowed us to become familiar with all types of accidents and injuries. If you have any questions about your accident, your injuries, or how an attorney can help you get the best result possible, give us a call! Contact us here for a free case evaluation. We’re ALWAYS available to help – day or night. NEW YORK – Roadways in Queens are designed to be used by everyone — motorists, cyclists, pedestrians, and anyone else who needs to get around. Everyone shares the responsibility to follow road rules, yet the people operating the heaviest machinery like cars and trucks must pay closer attention to everyone else sharing the road. Although there are laws dictating the rules of the road for each type of user, accidents are a common occurrence. Distractions like cell phones, food, and even passengers lure drivers’ eyes away from the road. Unfortunately, pedestrians involved in car accidents suffer the most, even in low-speed collisions. Pedestrian accident cases are fairly common in and around New York City. In Queens, a large percentage of residents travel on foot; therefore, the odds of becoming injured and requiring the services of a quality accident lawyer are high. 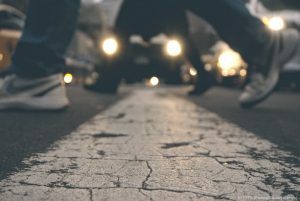 If you’ve been injured in a pedestrian accident, these tips might help you find the best lawyer for your case. Find a lawyer who has handled cases similar to yours. In most instances, personal injury lawyers who dedicate a large portion of their practice to car accidents are qualified to handle pedestrian accidents. When researching personal injury lawyers in Queens, be sure to ask if they have successfully recovered compensation on behalf of pedestrians, and review some of their case results. Seek recommendations from friends and family. It is not only possible but likely that someone in your social circle has been involved in a motor vehicle accident at some point in her life. Don’t hesitate to ask for referrals and find out what your friend liked best about her attorney. Scour lawyer directories. Lawyer directories can sometimes provide comprehensive profiles that show each attorney’s biography, focus, helpful information, and even testimonials from previous clients that can help you get a feel for his or her practice. At the very least, these directories should provide contact information and a link to the attorney’s website so you can learn more. Search online for pedestrian accident lawyers in Queens. A good place to get started is a Google search. While you will likely see dozens of results, review each website’s information and make a shortlist of a handful of attorneys you’d like to meet in person for a free consultation. At Cellino & Barnes, we frequently assist pedestrians in getting the compensation they need from the entities responsible for hurting them. Our attorneys focus on providing aggressive representation for injured parties, so that they may receive the reward they deserve to move on with their lives after a severe accident. Schedule a free consultation to discover why our team is an ideal choice for resolving your Queens personal injury case. Should I Hire a Buffalo Personal Injury Lawyer? BUFFALO, N.Y. – After experiencing an unexpected car crash, you might be wondering whether you need to work with an attorney in Buffalo to help you handle the process of filing an insurance claim. Depending on the severity of the crash, the extent of your injuries and any property damage, it may not be a necessity. You must reflect on how comfortable you feel handling the claim yourself in the aftermath of the crash. Ultimately, you will likely have a better experience working with an auto accident attorney from the start rather than attempting to resolve the case yourself and then passing it off to a professional. It’s tricky to know whether you need an attorney to get involved, as the extent of your injuries and how long it may take you to heal from them may not be apparent right away. If you are unsure of how to handle a car insurance claim, you should at least discuss your case with an attorney before making the final decision of whether to hire one or resolve your case without legal assistance. Many of the best Buffalo personal injury lawyers offer free consultations, including Cellino & Barnes. For very minor accidents like low speed rear-end car crashes which result in minimal property damage, the process of filing a claim under your own insurance policy will likely be straight-forward. If you were struck by another driver but endured just a few cuts, bruises, and scrapes or minimal property damage to your vehicle, you might not have difficulty getting a fair settlement from your insurer in a timely manner; however, you should keep in mind that insurance companies routinely deny insurance claims to avoid compensating their policyholders. The sooner an experienced attorney gets involved in your case, the better your chances will be of obtaining the settlement you deserve. It’s common for insurance companies to start contacting you immediately after an accident. Representatives from these companies seek answers to a variety of questions that you are advised not to provide without consulting with an accident lawyer, as you might unwittingly give information that hurts your case. In complicated accidents or in cases involving a wrongful death, the police may also seek to question you. An attorney with years of experience dealing with insurance representatives and law enforcement officers is best suited to provide those answers on your behalf without compromising your case. Working with a lawyer will also free you from the pressure of facing an onslaught of communication from third parties while you try focusing on your health. In the majority of situations, hiring a personal injury lawyer in Buffalo to help you resolve your accident case is a worthwhile investment. Lawyers are instrumental in helping you recover the compensation you legally deserve. While insurance companies only look out for their bottom line, Cellino & Barnes will put their best Buffalo personal injury lawyers on your case, and make sure your best interests come first. Contact us for a free consultation. BUFFALO, N.Y. – Rear-end collisions are the most common type of car accident, accounting for 29% of all motor vehicle accidents in the U.S. according to the National Highway Traffic Safety Administration (NHTSA). Our best car accident lawyers in Buffalo say they’re also among the most common collisions in New York City. With bustling streets full of pedestrians and slowly-moving cars, a driver who loses focus for just one second can instigate a rear-end crash. Although the stakes are higher in a high-speed rear-end accident, the driver of the front vehicle can withstand significant losses at nearly any speed. It’s important to work with a rear-end accident lawyer in Buffalo to help you determine who was at fault for your accident so that you may receive the appropriate financial recovery. 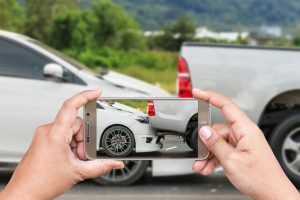 The fact that a rear-end accident took place when a vehicle was stopped shows evidence of negligence that may be used against the rear driver. Under New York law, striking a stopped or parked vehicle establishes a prima facie case for the rear driver’s negligence and presumes no negligence occurred on the part of the front driver, freeing him from blame. In a prima facie case, the immediate evidence is sufficient to prove a particular fact unless the defendant can rebut it. The defendant must provide an explanation for the crash which shows that he was not acting negligently when he struck the vehicle in front of him. The defendant must provide evidence to support his explanation. An attorney can conduct a thorough investigation of your accident to show the court that the at-fault party drove negligently. Your attorney can file a Motion for Summary Judgment, which is a request for the court to rule that the other party has no case. A judge may determine that the offending party is 100% responsible for the damages. If so, you may recover additional funds outside of your own auto insurance policy. When you work with a dedicated car accident lawyer in Buffalo, you work with someone who has made a career out of studying and applying all local and state traffic laws. When choosing a lawyer, make sure he or she thoroughly understands Buffalo, NY traffic laws and the Traffic Laws of the State of New York. Familiarity with traffic legislation in New York is imperative to ensure that you can obtain a full recovery. Other damages may also be possible. Call or contact our firm for a free personal injury consultation. We’ll put our best car accident lawyers in Buffalo on your case so you can rest assured that you’ll get fair compensation. NEW YORK – Last year, over 1.7 billion trips were made on New York City buses. With so many trips, it’s no surprise that thousands of bus accidents happen in the five boroughs each year. According to the New York Post, MTA buses have racked-up at least 21,823 crashes and mishaps since 2015. That’s an average of 23 every day! Whether the crash was minor or severe, there’s always the chance of someone getting injured on a bus in the Bronx. That’s why our best Bronx bus accident lawyers say it’s important to know what to do. Get Immediate Medical Help. Your health and wellness are most important after an accident. If you’ve been hurt, see a doctor as soon as possible. Call Police. Documentation is key. When police are called to an accident scene, they should be filing an accident report. This report should include, among other things, a detailed explanation of the incident and ALL of those who were involved, including yourself! Take Pictures. Obviously, photographic evidence is important. Don’t just take pictures of the accident, license plates and street signs; take pictures of your injuries too. Your injuries may heal. This is evidence that you suffered an injury! Gather Information. Make sure you take notes, and get basic information about all drivers involved, including the bus driver and bus number. Call An Experienced Bronx Bus Accident Lawyer. An attorney can help you protect your rights, and help you get compensation for any injuries you may have suffered. Filing a personal injury claim is complicated work, but it’s often necessary. The bad news is, these unexpected expenses and frustrations can add up quickly. The good news is, you could be compensated for these costs and more. When you call Cellino & Barnes, we’ll put our best Bronx bus accident lawyers on your case to make sure you’re getting the best possible result from your claim. Our team will fully investigate your accident, and hold those responsible for your injuries accountable for their actions and negligence. Over the last 20 years, Cellino & Barnes has helped victims of accidents recover over $2-billion in compensation. We’ve accomplished this success by applying a simple strategy that many other personal injury firms don’t: prepare each case for trial, and pressure the big insurance companies to DO WHAT’S RIGHT. 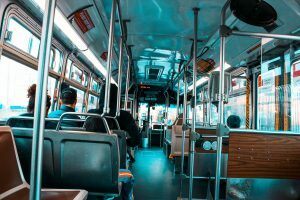 Contact us for a FREE case evaluation and find out how our best Bronx bus accident lawyers can help make a claim, specifically designed for you and your needs. LOWER ALLOWAYS CREEK TWP., N.J. – Another New Jersey construction accident killed a worker this week after a wall collapsed on Nauro Ramos-Ramirez in Lower Alloways Creek Township. Police said Nauro Ramos-Ramirez, 22, of Bridgeton was working on a house remodel in Salem County when a foundation wall collapsed, trapping Ramos-Ramirez under the debris of the home on Maskells Mill Road. Nauro Ramos-Ramirez was working for DeWitt Concrete and Masonry Inc. of Bridgeton, according to police. Although no charges were filed, police said the U.S. Occupational Safety and Health Administration (OSHA) will conduct a full investigation of the incident. New Jersey construction accident lawyers said OSHA requires employers to provide workers with a safe working environment. This includes providing workers with the proper safety equipment and training before putting them in potentially dangerous situations. According to OSHA, falling materials and building collapses are responsible for nearly 200 deaths every year in America. Safety experts say all of these accidents are preventable with the proper equipment and safeguards in place. For this reason, it’s important to completely investigate an accident. Not only will an investigation determine what went wrong and why; it can also help victims and their families recover compensation for their injuries or loss. If you or a someone you love has been affected by a recent construction accident, you may want to contact an experienced New Jersey construction accident lawyer to help you get the best result possible. 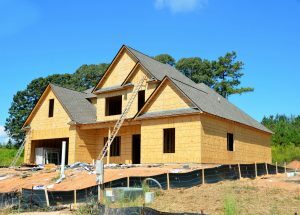 If you decide to contact our team, we’ll put our best New Jersey construction accident lawyers on your case, so your claim will fit your specific needs. For a free consultation, call us at (800) 888-8888. CLIFTON, N.J. – A tractor-trailer driver won’t face any charges after a serious crash sent three people to New Jersey hospitals, officials said. According to authorities in Clifton, William Libby, 46, of Pennsylvania, Irving Vasquez Velez, 32, of Paterson, and Fabian Macedonio, 36, of Clifton were all injured in the crash. Police said the truck driver lost control of his tractor-trailer after a swerving car cut him off, forcing the truck to cross a concrete barrier into oncoming traffic. Irving Vasquez Velez and Fabian Macedonio were both heading westbound when the truck crossed the barrier into their lanes. Clifton firefighters said Irving Vasquez Velez was trapped in his car after the crash, forcing firefighters to cut the vehicle open to free him. Police said the accident shut down all three lanes of the highway between Main Avenue and Route 21 in Passaic County. Several other drivers stopped and jumped into action to help Irving Vasquez Velez, Fabian Macedonio and William Libby after the crash, according to NorthJersey.com. Witnesses told reporters they carried one of the drivers away from the wreckage while they waited for help to arrive. Over the last few years, serious truck crashes like this have spiked according to the Insurance Institute for Highway Safety. Last year alone, there were nearly 3,000 deadly truck crashes on US roadways, and thousands of others that resulted in serious injuries. 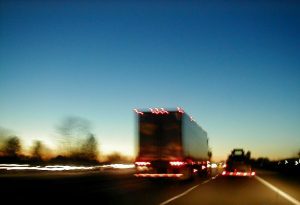 According to New Jersey truck accident lawyers, many truck crashes can be blamed on the inattentiveness of other drivers. However, a complete investigation can help victims of truck accidents get compensation for their injuries. Oftentimes, a successful truck accident claim will also help create changes in our communities that aim to improve roadway and traffic safety for those who share the road in Clifton, Passaic County, New Jersey, and on highways across the country. If you or a family member has been injured in any type of truck accident, you may want to contact an experienced New Jersey truck accident lawyer to help you get the best result possible. If you decide to contact Cellino & Barnes, we’ll put our best New Jersey truck accident lawyers on your case. For a free consultation, call us at (800) 888-8888. BUFFALO, N.Y. – Unintentional injuries are now the #4 cause of death for people living in the U.S. These injuries happen due to accidents; of all the ways a person can get hurt, falls account for the most unintentional injuries sustained each year. Our best Buffalo slip and fall lawyers say anyone may be at risk for a slip or trip-and-fall at any moment. Here are some important statistics you should know about falls in the United States. Many people may not realize how harmful a slip-and-fall can be. We tend to think of falls as dangerous among the elderly, yet they cause severe injuries in people of all ages. Fall accidents send 8.9 million people to the emergency room each year, according to the National Floor Safety Institute. They are the top reason people visit the ER, accounting for 21% of visits. In the workplace, falls are the leading cause of worker’s compensation claims, with 85% of such claims attributed to employees slipping on wet floors. They also cause 11% of job-related fatalities for men and 5% for women. Overall, more women will experience a slip-and-fall accident in their lifetime than men. Falls also go hand-in-hand with traumatic brain injuries (TBI). According to the Centers for Disease Control and Prevention, falls caused the most cases of TBI in 2013, accounting for 47% of all TBI-related visits to the ER, hospitalizations, and deaths in the U.S. It’s interesting to note that falls affect the youngest and oldest among us more than other age groups. How Do Falls Impact Seniors? Although anyone can get hurt from a slip-and-fall, the consequences are more significant the older the victim. It’s crucial to understand how slip-and-falls affect senior citizens. 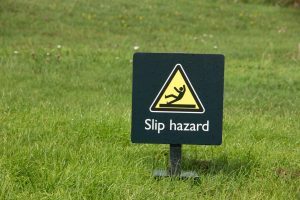 A person who has slipped or tripped and fallen at a public park, in a mall, at the grocery store, or even in a private residence may have grounds to file a personal injury lawsuit for a slip-and-fall accident in Buffalo. In many cases, these accidents are directly caused by a third party’s failure to ensure a safe walking environment. A slip and fall lawyer’s responsibility is to investigate slip-and-falls to track down the liable party. A person who manages, owns, or operates a premise has must maintain a certain standard of care to ensure safety. When they ignore that standard or fail to correct issues that lead to accidents that then lead to injuries, they can be held accountable for damages. With Cellino & Barnes by your side, we’ll put our best Buffalo slip and fall lawyers on your case so you can recover for medical expenses, lost wages, ongoing medical treatment, loss quality of life, and more. Contact us for a free case review in Buffalo.